Millennial Mindset: What if we Dated Like 'The Bachelor'? Millennial Mindset: What if we Dated Like ‘The Bachelor’? Diehard reality television fans know how easy it is to get lost in the world of exciting, whirlwind dating at the hands of Chris Harrison. Many of us at home might wish that we were contestants on The Bachelor, winning our dream companion in a competition of dating, fighting our competitors until they pack their bags. While we fantasize about our brawls to the death with models-turned-dog walkers, we might also want to consider how much of these shows are influenced by producers obsessed with ratings. Here is a look at what might actually happen if we dated like reality TV contestants. Psychology Today notes “fantasizing about the future” as the third biggest dating mistake in the top ten. Clinical psychologist Allison Connver, Psy.D., attributes many dating pitfalls to the oxytocin rush that hits during the first three-six months of a relationship. This hormone overload may cause the “blinded by love” effect, disabling us from seeing what might actually be a red flag. So while the Bachelor or Bachelorette might be headed towards a quick engagement, he/she may be totally unaware of what’s to come. Some people do get engaged this quickly, but it’s best to wait it out a little longer, just to make sure you aren’t committing yourself to someone you wouldn’t want to spend your whole. entire. life. with. In theory, this is a big, fun party for you and all of your new friends…who are also trying to make out with the guy or girl you’re trying to win over. While a little jealousy is normal, an environment filled with constant undertones of infidelity might impact you in a far more serious way. There are actually degrees of jealousy, some more harmful than others. Morbid jealousy, according to Susan Krauss Whitbourne Ph.D., is a serious form of jealousy in which you “become preoccupied with the possibility that your partner is cheating, but these thoughts set in mind a vicious cycle in which your suspiciousness leads you to make incorrect conclusions which only feeds your suspiciousness even more. You then start to act in ways that cause real relationship problems, further inflaming your doubts.” Putting oneself in a situation that breeds extreme possessiveness could, in reality, destructive to mental health. It’s difficult to think of the cons to a three-month romantic travel extravaganza before you start feeling resentful, depressed, angry, or plagued by baggage. While many of the contestants on these shows are likely actors or those in search of a publicity boost, if I were in their shoes, I don’t think I could handle the immense pressure on my own. Relationships sometimes need counseling from a professional, whether individually or as a couple. Furthermore, contestants are not allowed access to media from the outside world: magazines, social media, etc. In the real world, it is crucial to take advantage of the information on mental health that you might find in literature, either in print or online. 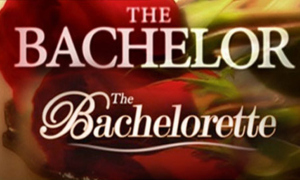 Still Want to be on The Bachelor? Don’t fret that you haven’t yet been cast in your fairytale reality show—it may not be everything it seems. A healthy dating life should be fun and thoughtful, not harmful. While The Bachelor is entertaining to watch, participating would not be nearly as fun. Psychology Today: Are You Stuck in the Jealousy Trap? Previous Post: « Model Tess Holliday Overthrows Beauty Conventions!